Background: Harry always had an interest in the construction industry and before getting on an apprenticeship with us at K10, he was working on site as a labourer. This wasn’t sustainable employment and he was constantly just waiting for work to come up, so he applied to K10. What happened next: Harry came in for an interview and impressed his soon to be Apprenticeship Manager. He was then placed on site in Tower Hamlets to do a Level 2 Interior Systems Apprenticeship. 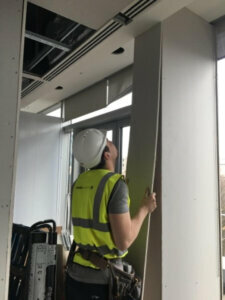 During the Apprenticeship: Harry was enrolled on to the Level 2 Interior Systems apprenticeship, which was for 15 months. 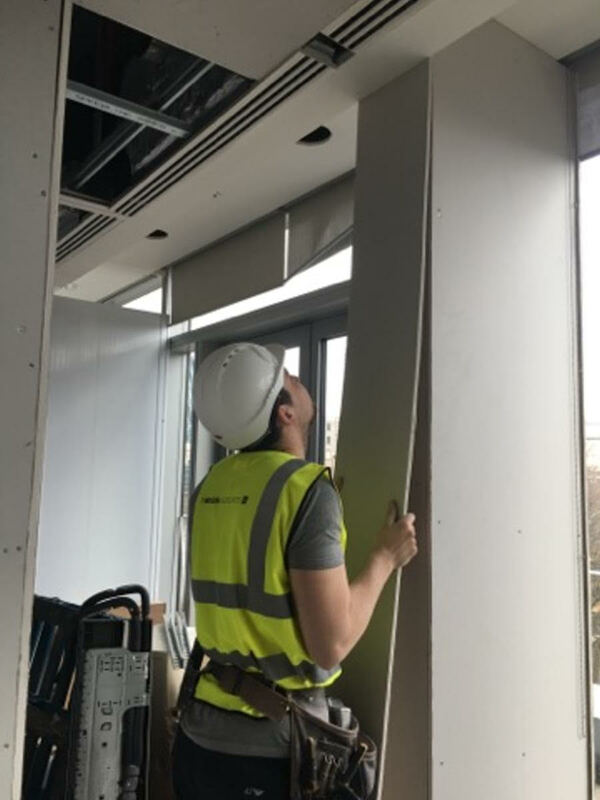 He was working full time on site, but was given coursework from our chosen college, Ealing, Hammersmith and West London, to complete by the time an assessor visited him on site. 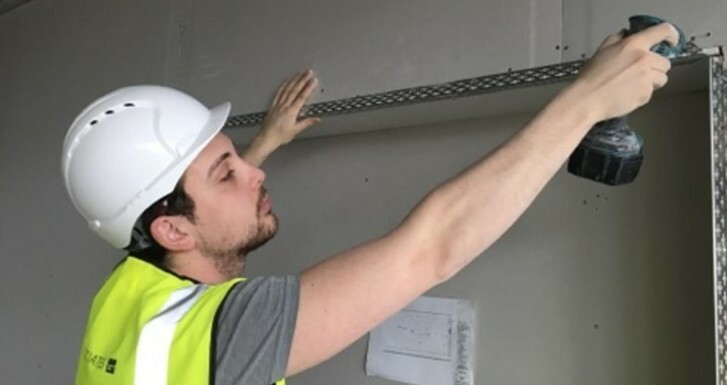 After the Apprenticeship: Harry completed the Level 2 Interior Systems Apprenticeship in 15 months, and is now working for a Sub-Contractor as a fixer. He works all over London with lots of and earns anything between £110 – £140 a day. Big congratulations to Harry for completing and good luck for the future!